Welcome to the first of our reborn and re-branded Developer Spotlight Series column where we showcase Android app developers and their efforts. When we launched AndroidGuys back in November 2007, it was nearly impossible to get a grasp on what was ahead of us. Given the first SDK had just become available, many developers were taking the “wait and see” approach to Google’s fledgling OS. There were, however, a number of brave souls ready to dive head-first into Android app development. Since this was in the days prior to the G1 and a 1.0 release of Android, we felt obligated to highlight these developers. Thus began our Developer Spotlight Series which was our way of providing an early look at the promises of Android. We’ve toyed with various iterations of this series over the last 4.5 years but we think we’ve settled on something you’ll enjoy. We’ve expanded our coverage to more than just Android apps, into a broader scope of mobile development and services. Why? Because we understand that mobile app development is not Android-only and that some have already started shifting to HTML 5. Also, because many of the services offered on your Android devices can be extended or enhanced with a desktop companion. Such is the case with our first re-branded Behind the Curtain, an interview with Todd Berman, Rdio‘s VP of Engineering. We’re willing to bet that some of you don’t even know what Rdio is, let alone how it works for Android users. Going forward, it’s our hope that these types of interviews help you discover new apps and services for your mobile devices. Thank you for taking the time to talk with us and share some insight into Rdio. Please, tell us a bit about yourself and your experience with the company. Rdio is a digital music service started by the creators of Skype that offers access to millions of songs for people to discover, play and share, anywhere they are. 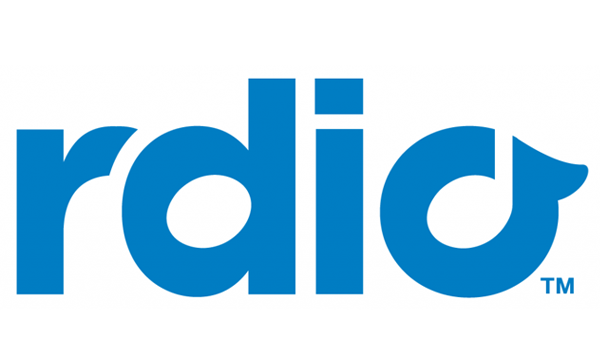 Rdio has been around for almost four years, and publicly available for nearly two. As VP of Engineering at Rdio, I lead our engineering team. Before this, I was VP of Technology at imeem. 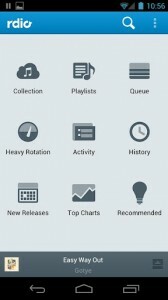 What is it that you want Android users to know about Rdio? We’re focused on bringing the same great experience we have on the Web and desktop to Android and the platform is an important one for us. For us, it’s all about offering the best on-demand music discovery experience on the Android platform. How do you differentiate from other music options on Android? 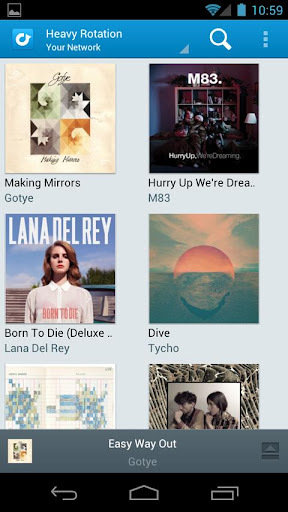 Rdio for Android is the most visual, social and interactive music experience out there. Not only do you get access to more than 15 million songs with the ability to listen offline, you can also tap into all of the music discovery features right from your device. The streaming music space is a crowded one. How does Rdio reply when someone says, “Yeah, I like Spotify…”? There are plenty of options out there for consumers to take their pick according to what best suits their needs. We think the subscription model provides the best value for the consumer, and we are excited for every new customer using Rdio or any other subscription service. For every company in this space, the largest issue we face are people accepting YouTube or BitTorrent as a good enough experience for music consumption. It really isn’t, and every person who realizes that is a huge win for the model. Personally, I prefer Rdio for a couple main reasons. First, I like being able to segment the social graph that is used for music recommendations. Being forced to view recommendations full of whatever my family members are currently listening to is not how I want to discover music. Second, I enjoy having a web product. It is great to be able to go to anywhere and easily pull Rdio up without installing software on another computer. Looking through the website I see “On Demand. No Ads.” How do you monetize your service? Is it through paid users only? We want to build a business around music and fans. It’s really about creating the best product – one that honors the music content that makes our business possible and the needs of the people that both create it and want to access it. At the end of the day, “free” and “ad-supported” tiers are loss-leaders that are designed to convert users to paid subscribers. Can you tell us a little about your pricing options? The family package seems like a great way to go. Anyone can sign up for Rdio free on the web atwww.rdio.com, set up a profile, and gain access to ad-free full song streams while discovering and sharing music and following other users for recommendations. At any time, users can upgrade to one of Rdio’s flexible subscription plans for unlimited music. Rdio’s web plan allows you unlimited music access on the web or via our desktop apps for Mac and Windows. If you like portability and access to music anywhere at anytime, Rdio Unlimited includes web access and mobile streaming across all devices, even offline. The Unlimited Family plan is a fun, social and cost-effective way for multiple people in the same household to share and discover music. We are the only digital music service with a family plan, because we realize that families and couples all want to listen to different music across multiple devices at the same time. And as your family grows, the good part is there is no limit to the number of profiles you can manage under the master account. Heavy Rotation, New Releases, Charts, etc… tell us how this adds to your overall value. Our goal is to provide access to the most music possible, whether that is a brand new release or a recommended album from a trusted friend. Person-to-person sharing and discovery is at the heart of Rdio, so it’s about much more than just accessing a library of music. Users build and share their digital music collections from a catalog millions of songs, and can see the listening activity, collections and playlists of other users – including friends, influencers such as critics, artists and record labels, and even random people with similar musical taste. Part of that discovery includes features like Heavy Rotation, which comprises customized recommendations and new releases from artists you have listened to before and artists in your collection. And because we understand the importance of personal music recommendations from friends, you can clearly see which of them are listening to albums in your Heavy Rotation and everywhere else in Rdio. New Releases, which we offer as soon as they are available, make up another big part of discovery. Other features like artist radio and recommendations add to the overall experience of music discovery and make the Rdio user experience more valuable. And all of these features are available across all devices, including mobile. As much as we’d like to say it, Android is not a perfect mobile OS. What challenges have you faced in working with Android? The fragmentation of the media frameworks can be very frustrating. A lot of engineering time is spent on making sure that audio playback works properly on specific phones. That is time that takes away from adding features and functionality that our users are asking for. Fragmentation in general is a huge issue for everyone on Android, but we get “bit” especially bad on the media framework side of things. [quote_left] …access to more than 15 million songs with the ability to listen offline, you can also tap into all of the music discovery features right from your device. [/quote_left] Is there something in the platform that keeps you from realizing a particular feature or service? No, not really. The platform itself hasn’t restricted us from building anything specifically, which is great. It’s the only mobile platform we can say that about. Are you finding more new users coming from mobile or desktop? We see new users coming from both, all over the world. The stats are different for every territory where Rdio is currently live. For example, we know that 73% of Australians use smartphones, so mobile is our fastest area of new user generation there. Every country is different but we are finding mobile is a significant contributor to our growth globally. Has the mobile vs. desktop usage changed much over time? The value in a service like Rdio is that you can have it all – you can have your collection on your desktop or take your music everywhere you go. And users are responding to that by using both options. And our mobile apps are continually being updated and enhanced, making the experience of music discovery an even better experience on the go. Mobile has been, and will continue to be, a priority for us on both the product and user acquisition side. The growth of Rdio’s mobile apps as a complement to our desktop and web experience continues to grow every day. Rdio is already a robust service, but we assume you’re not stopping with the latest build. Are there any features you can tease for future releases? We are doing a lot of work on unifying the playback experience you get between the web and the mobile apps. Right now, if you run the website on two computers, one computer will remote control the other. There is no reason to not get that same remote control experience between the web and the mobile, or even two mobile phones. How does a user get in touch with your team if they’d like to provide feedback? You can get in touch through Facebook, Twitter or email. You can also visit our help site. Thanks again, Todd, we certainly appreciate your time and answers. Be sure to download Rdio on your Android device today.